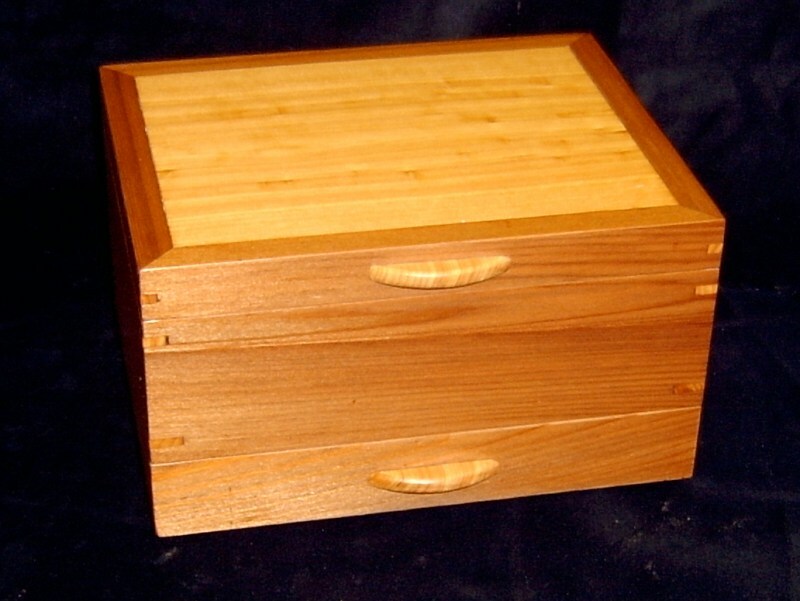 This Box is made from Western Red Cedar with a Juniper top panel. 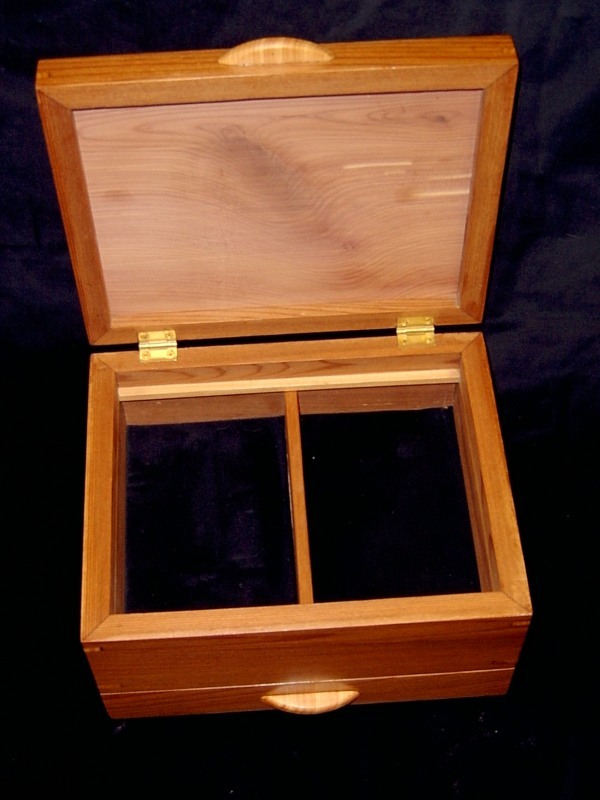 The inside of the lid is lined with Aromatic Eastern Red Cedar. the feet, pulls, and keys are Juniper. All four corrners are grain matched and allow the grain to flow around the body continuously. The dimensions are3 8" x 6" x 4.5" tall. the inside has a tray that is divided into 2 spaces. There is also an undivided drawer in the bottom. 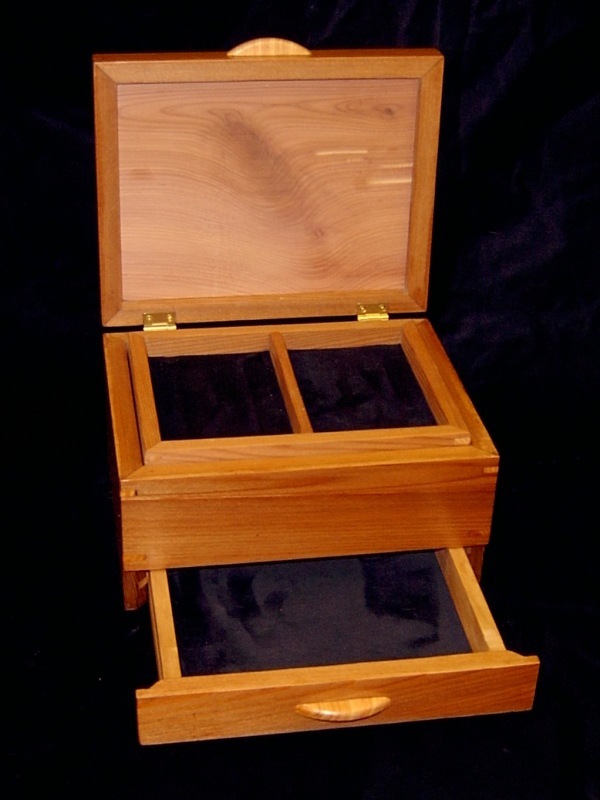 The box is finished inside and out a drying oil with the exception of the inside top panel. This was left raw to provide a nice Cedar smell. The outside was then finished with Laquer and buffed out with a coat of Canuba wax. The hinges are made by Brusso and are self stopping at 95*. The liner is a velvet type material.